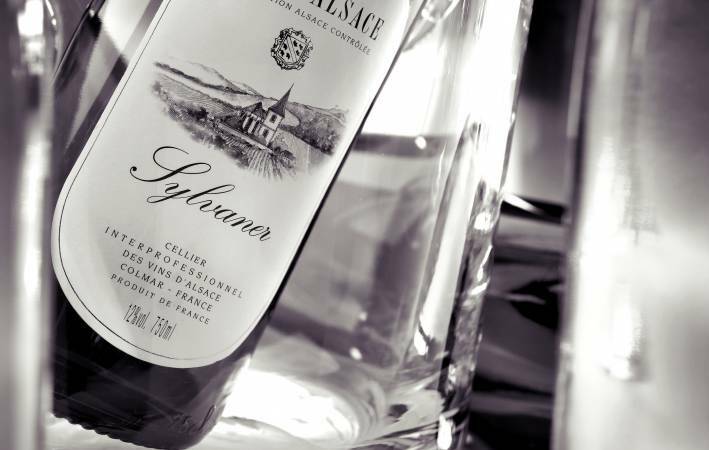 Alsace producers are thrilled with the 1996 vintage year quality. It was a difficult start for the growth season being a little behind compared to previous years. Late budding, poor flowering for Gewurztraminer, low temperatures in May and August … so many factors to cause concern. But very fortunately, the grapes were in perfect health, reminiscent of the 1985 vintage year. Although the acidity-level was still fairly high during the harvest, the sunny and dry month of October helped boost good ripening for the grapes. The dry weather and healthy grapes incited a fair number of producers to be patient, allowing their grapes to ripen even more. This patience largely paid off, notably for the Pinot variety which shone-through as the greatest success of the year. The harvest officially began on September 25 for the Crémant d’Alsace appellation and October 7 for the Alsace and Alsace Grand Cru appellations, with grapes getting picked over a staggered time period. The morning fog allowed for many Vendanges Tardives and Sélections de Grains Nobles to be produced, boasting a structure which hints at great keeping potential. The 3 appellations represented a production of 1,170,000 hectolitres, an increase of 8% compared to last year but close to the average of the last five years. Pinot Noir has a strong colour, the Tokay Pinot Gris is full-bodied with a great aromatic finesse. They have a very balanced sugar/acidity ratio which usually implies great delicate wines. The other grape varieties: Gewurztraminer, Riesling and Sylvaner have great freshness, typical of this vintage year with nevertheless assorted qualities and quantities depending on their geographical areas. The Gewurztraminer remains the variety with the lowest quantity this year. An intense nose with a combination of petrol-like notes, aromas of black truffles and a smoky touch. The palate has a semi-dry quality, generous with good concentration and well integrated depth and sweetness. A wine which is most ideal to accompany fish. (Last tasted in December, 2006). The legendary acidity of this fresh and late-ripening vintage year proved that with ageing, acidity wasn’t enough to guarantee a good keeping potential, but that the overall maturity of the grape was also important. Certain acidic cuvées resembling razor blades therefore evolved rather quickly to notes of evolution and for certain cuvées, a form of oxidation. The cuvées picked later have a touch of noble rot which produced some excellent Pinot Gris or Gewurztraminer, as well as smooth Riesling. Today these wines often have aromas of black truffles and quince, characteristic of this vintage year regardless the grape variety.